On July 1, 2013 Lithuania will take up the rotating Presidency of the Council of the European Union (EU) for a six month period. This task Lithuania will be taking up for the first time and it will be the first among the Baltic States to do so. The EU Presidency will be for Lithuania a major responsibility and its most significant and prestigious engagement within the EU, since it joined the EU nine years ago. During this period Lithuania will be coordinating much of the work of the EU and it will involve a huge commitment of Lithuaniaā€™s resources. Lithuania will be hosting over 20 highest level meetings and more than 200 functions. Near 600 pieces of EU legislation in progress will have to be handled. 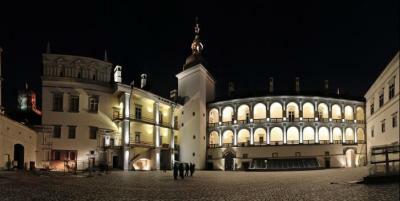 It is expected that Lithuania will see a huge influx of visitors. About 30,000 people are expected to come as a consequence ā€“ from politicians and diplomats to media people, businessmen and others. 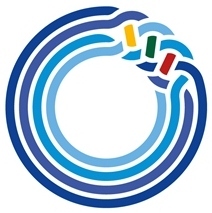 The logo for Lithuaniaā€™s EU Presidency. A massive cultural program will be put on, both within Lithuania and across all Europe. An opening concert will held at the recently opened reconstructed Palace of the Grand Dukes of Lithuania on July 6, 2013, Lithuaniaā€™s National Day which celebrates the coronation of Lithuaniaā€™s King Mindaugas in 1253. This special concert will feature operatic classics from the Baroque to the 20th Century. The concert will highlight the particular importance that the Palace has had in the history of opera. It was here that in 1636 the Italian opera ā€�Abduction of Helenaā€¯ by Marco Scacchi, to the libretto by Virgilio Puccitelli, was introduced to the court in Vilnius by Grand Duke Vladislavas Vaza (Wladslaw Vasa) ā€“ barely some decades after the performance of the first opera in Italy and a decade ahead of similar performances in Paris and London.